What Bubble do you live in ? At the beginning of this Site I told you about the bubble I lived in. 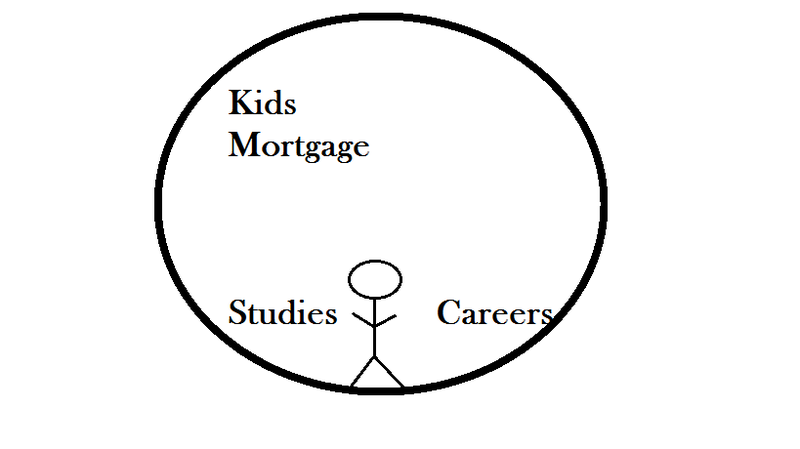 In my bubble – My children, the mortgage payments, my studies and career. My life revolved around those things. It sounded like this. How am I going to get enough money to pay the mortgage, got to keep a roof over our heads. I need enough money to feed my kids. I need to complete this or that assignment by the cut-off date. I will need to get to this place or that place, in-order to complete the allocated hours of my placement requirements. Round and round they would go. Nothing else mattered. Now my bubble looks very different. Now that I have found my passion – It takes care of the mortgage, food, the roof over our heads and my career. (full circle) My actions followed the contents of my bubble! What bubble do you live in? I have permission to write about one of my sons – At the age of about 16/17 his bubble looked like this. He seemed to talk about nothing else. He spoke about needing money for some hat I’d seen. He wondered about getting trainers that weren’t quiet the real thing, but no one would know, because they looked so genuine. He reeled about a motor bike he wanted. He spoke about doing the bike test, it’s cost, how long it would take to learn how to ride it. He chatted about clothes he wanted. Our conversations, or should I say, his talk was always about those five things. Which went on for at least two years. Trying to engage him in considering his studies was a waste of time. His bubble looks very different now. The only thing that remains from his 16/17 year old bubble is ‘how can I make more money’ The other items are very different. What does your bubble look like? Is it full of (((((Shoes, bags, clothes, friends partying))))) Do you know someone who’s bubble looks like that? Do they speak of the next bag they want, or the next Jimmy Choo, they are after. Perhaps they have seen an out-fit on a celebrity that would really look good on them. Have you got a friend like that? Do some analyzing, its fun. 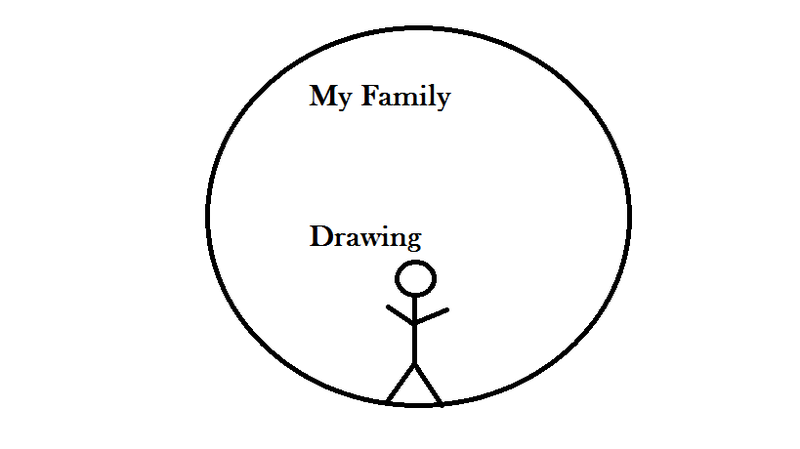 Pick a friend or family member and put them in a bubble surrounded by what they talk about most. You may remember Jane, from the previous blog. Her bubble would have looked like this. It would have consisted of about five things. After making a change Jane's bubble now looks very different. As you begin to follow your passion, your bubble becomes less full of superficial things. Right, you have analyzed a friend or family member. Try doing your bubble. Got to be honest, What’s yours filled of? 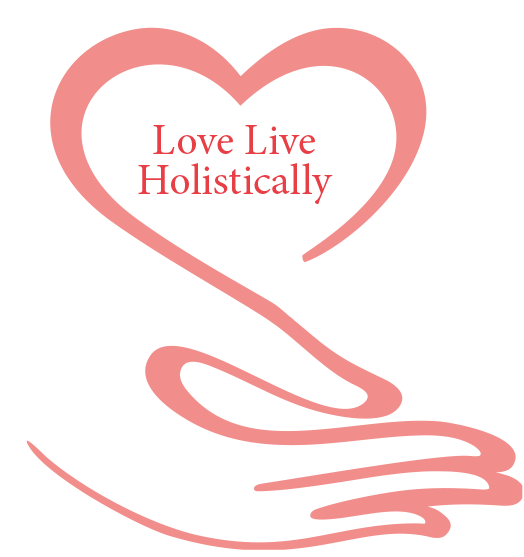 blog@loveliveholistically.com. Did you draw a big enough bubble? blog@loveliveholistically.com If you was to remove yourself from the bubble would It give you more space to add more things? Did you know that you control the stuff in the bubble? Things don't just appear in the bubble. You put them there. How they arrive in your bubble depend on how you think and talk about them. Happy thoughts allow items to appear in your bubble whole (((POP))). The love of your family (((POP))) into your bubble whole, and remain there, as your internal thoughts keep them there. Superficial items pop into your bubble quickly and are quickly replaced or removed. Superficial thoughts, like the ones shown in my Son's bubble enter easily, and leave easily, as the next superficial item enter his head and bubble. He went from wanting hats and trainers to talking about getting a motor bike. The hat and trainers seem to disappear, leaving no lasting effect, as talk of buying a car and attending University took over. My son still talks about making money, however superficial items such as clothes has disappeared. Negative thoughts arrive in the bubble, piece by piece. (1) The gas bill has arrived it's already a negative thought because you don't know how you are going to pay it. (2) It's £289. (3) Where am I going to find the money to pay it. (4) How did it get that high. Piece by piece you put that gas bill in the bubble until it's fully formed. Jane had Sally in her bubble. Sally arrived in there issue by issue (Jane’s self talk would go something like this) "She has man trouble again" "She wants to lend £60" "Her car has broken down" "She needs to lend "£70" "She's broken up with her latest boo". The longer it takes for an item or issue to become whole in your bubble, the longer they take to be removed. After helping Sally out, it will take some time for that experience to leave the bubble, especially if another ‘Sally issue’ arrives soon after. Sally will then, remain in the bubble as a negative thought. Now look at your friends bubble, you’ll notice that she/he live for the contents of their bubble. In my first bubble, I felt that I had to keep a roof over my children’s head, buy food, keep them safe, and pursue a career. So I worked at places that treated me terrible, while studying and battled with debts. In the year I did my Masters degree, whilst at work, my heart began to beat so fast and hard. I thought it was going to pop out my chest. 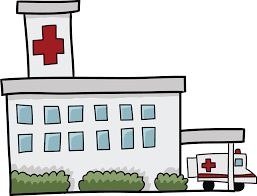 I had a pain in my neck and my left arm began to hurt. I left work early, knowing that if I stayed any longer, I would not be able to drive home. I got home, prepared some chicken and put it in the oven to slow cook. I then and went to bed in the hope that the beating would stop, and the pain would subside. As I sat perched up on pillows I hoped that, If I was going to die, the dinner would be cooked before I went, so my children would get something to eat that night. The pain and rapid heart-beat didn’t stop, so an ambulance was called. I thought I was having a heart attack. At the hospital, I was given something to calm my heart and told that I had had an anxiety attack. WOW all that, because of what was in my bubble. Jane remained at her job and worked tireless at home because of what was in her bubble. She felt she had to do these chores in order to keep her house functioning. When Jane stopped giving Sally £300.00 per month, and cleaning up after her family. She found that her home could still function and that she could pursue her passion. Jane now lives her life with a less crowded bubble. You can sometimes anticipate peoples’ actions, once you know what’s in their bubble e.g If their bubble contain friends, especially when they are named, you’ll see them run to phone to tell their friend every single event that takes place in their lives. Ring any bells, know who i’m talking about? A person with a bubble that is full of superficial items and situations, will live a life directed in a superficial way. For example. they need to dress a certain way. They need to show the world outside of themselves, that they are a certain type of person, who is doing well, when maybe they are not. They will need to show their neighbours that they are doing well by trying to keep up with them. They lie about where they are going on holiday (or some other big purchase). This person tries to buy the latest items out there. There’s that car they can’t afford to own, so they lease it. They may have a good credit score and accumulate credit cards, which will help them to buy items they can’t afford. They spend on friends, although they can’t afford it. All because of the contents of their bubble. They will speak about wanting to buy this or wanting that. This person, you’ll notice is never fulfilled. There is always something they want. This person is not peaceful. This person doesn’t seem to have no real destination for their life. When asked, ‘Where do you see yourself in five years time’? They may tell you that they want something superficial. Is that you? Be honest. Is it someone you know? The more unhappy you are with your life, the more items, things, names, objects you have in your bubble. Are you unhappy? Being knee deep in debt, six children to care for, studying and trying to follow a career, was enough to fill my bubble. The happier you are, the less you have in your bubble. Can you imagine what your bubble would look like if you was doing what you was passionate about.? 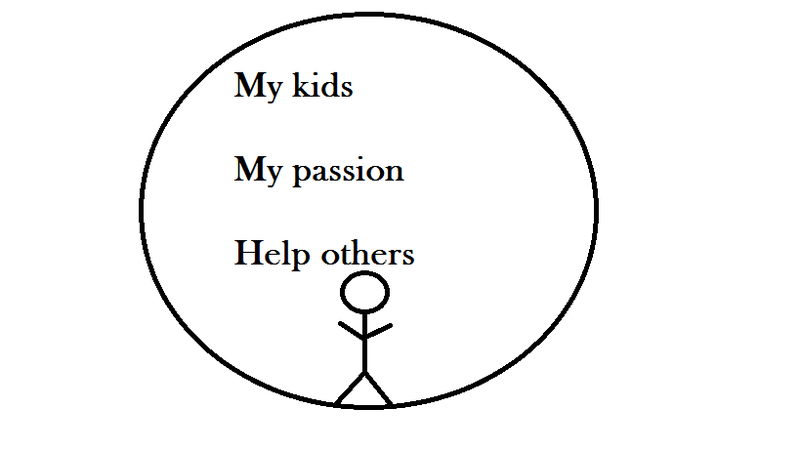 My bubble now contains my children, my passion and helping others. That’s it. I know that following my passion will make me happy. I know that having my children around me will make me happy. I know for sure, that helping others will make me happy. You don’t see bills, mortgage and ‘stuff’, they do not enter my bubble. Because I know following my passion is providing these things. My son removed hats and trainers with getting a motor bike and work, what he constantly spoke about had changed. Instead of his superficial chat, his discourse became more motivated towards working and earning money to get a bike. Most of his time was taken up with researching bikes or looking for a job. My Son took jobs that he’d not like me to mention here, but stayed true to his bubble and got his motor bike. The contents of his bubble changed again as he became obsessed with modifying his motor bike. I digress, what or who can we remove from your bubble. Here’s, how to do it. You replace an item with something else. Jane's bubbles always contained her husband and children, however in her first bubble, they had become the reason she worked so hard. 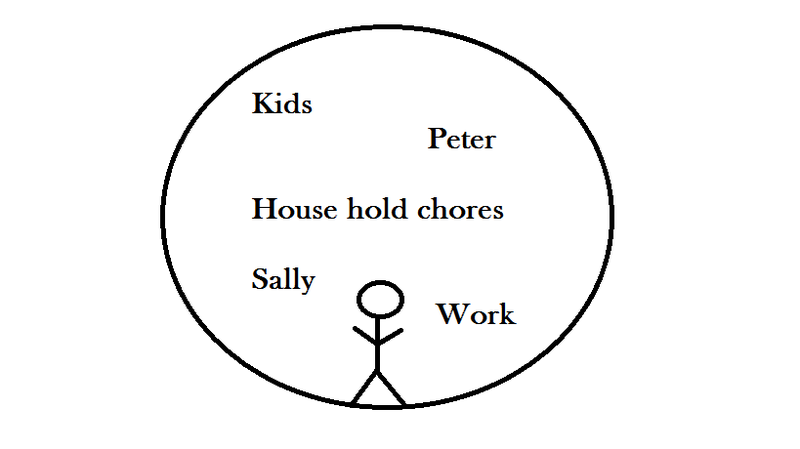 In Jane's second bubble she was no longer carrying her husband and children, so they appeared in her bubble under love and care. Jane removed the ‘burden’ attached to her family and replaced it with comfort. How did she do it? By having a conversation with her family, letting them know that she needed help. In Jane’s second bubble, work didn’t appear, why ? Because she spoke to her manager and got her hours of work reducedfrom full time to part time. Not everybody can do that, but it worked for Jane, especially after she stopped giving Sally £300.00 a month. So Sally and work disappeared from Jane’s bubble. Some items enter the bubble, quickly ((((POP))))) they are often superficial items, which can be removed or replaced quickly. Items like, shoes, clothes, cars, the need for ‘things’. Positive items (((POP))) into the bubble quickly also. The love of ones’ family, for example, but they stay there, because of the internal work you do to keep them there. External items - have you looking for praise or acknowledgement from another. Some items enter the Bubble slowly, often piece by piece and are harder to remove or replace. These items often have a negative effect on you, Sally entered Jane’s bubble, issue by issue. For anyone who has bills or debts in their bubble, they will appear pound by pound or bill by bill. Bosses enter piece by piece, that could be, work load, by work load. Careers enter level by level or contract by contract. 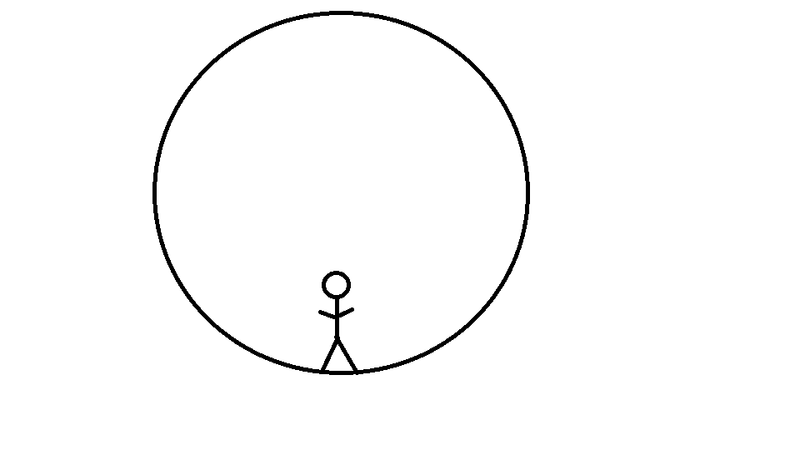 A person who carries other people in their bubble, (especially if they are named) live a life of ‘what would he/she think’ ‘what would he/she say’’. This includes the need to show the pastor of your church, that you’re a good parishioner (mmmm, know who I’m talking about? 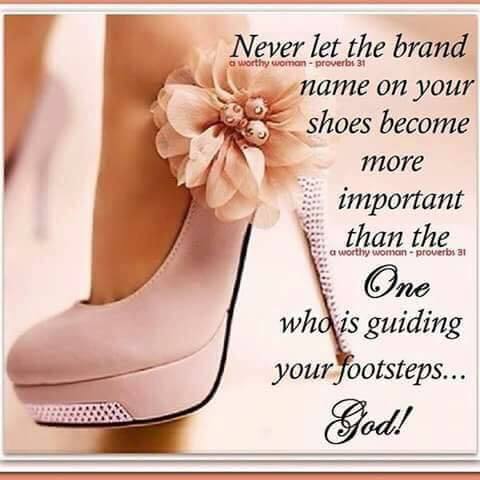 )Who's looking for praise or acknowledgement from another? Physically working hard at my career, caring for my kids, worrying about debts – Caused me to experience a panic attack. 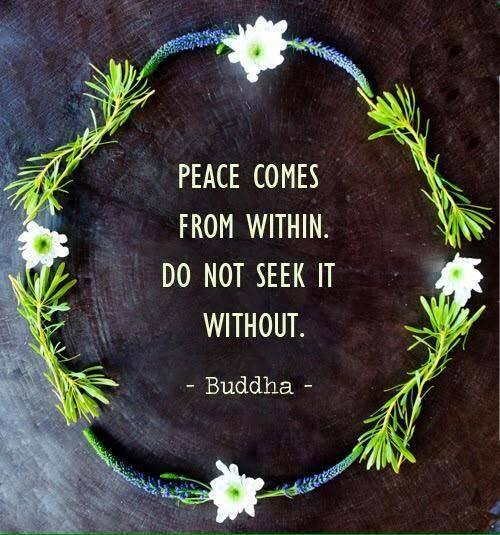 Internal Positive items – These are things or situations that make you happy. Things that give you pleasure, you may have to work for these things but, you don’t mind because you enjoy it. What’s in your bubble? Be honest. Can you see how the contents of your bubble determine your action? 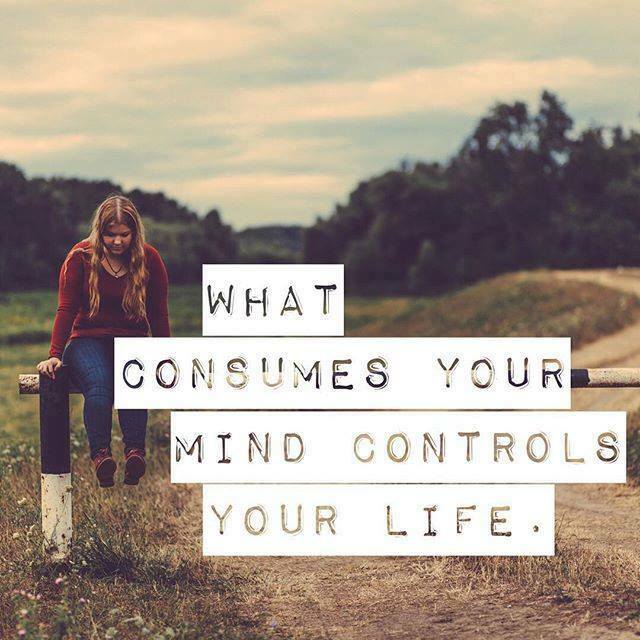 Isn’t it time you took control of your life? Replace or remove items. I can truly tell you that, following my passion and having my children in my life, allows me to be happy – most of the time. THE WORK – Analyse who or what is in your bubble. Justify why the item is there. Is it a negative or positive item. Is it an internal item like the love of your family or is it an external item, like my son’s trainers and hats. 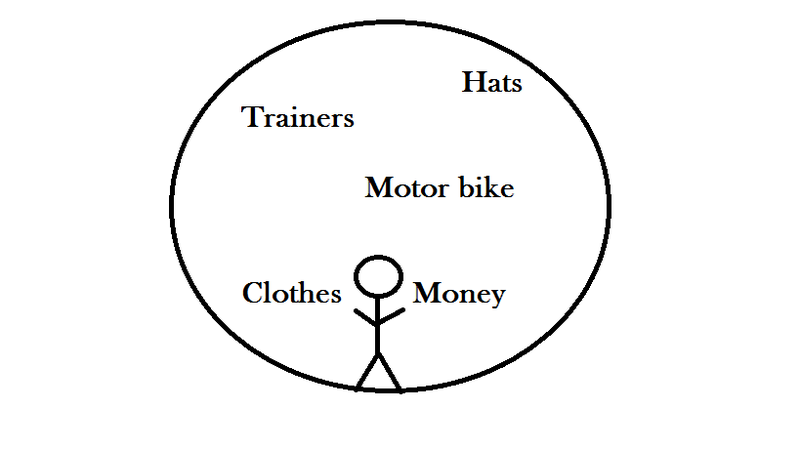 Draw a circle, inside write what you think about often. The aim is to remove or replace negative external items with positive Internal items, or items close to your heart. As mentioned above, I replaced all the fretting over housing, bills, the safety of my children with following my passion and helping others. This wasn’t done over night. It took time. I secured a place to live, a place that enabled me to read and write without the noise of the external (noisy neighbours, cars etc) and the calm of the internal (less worry about paying for this and finding money for that. I became less rushed). I also took a leap of faith and left my demanding job. I worked out that I could live a simpler life. I didn’t have to pay the excessive petrol cost needed to get me to work. I wouldn’t have to fill my bubble with all the angelic co-workers disguised as total arse*******. There would be less people in my house-hold, as some members of my family had to stay close to their universities and jobs. Try and make your life less stressful, with less ‘things’ and less people in your bubble. I am not telling you to leave your job or stop following your career. If it is something that makes you happy - stay. My pursuit of a career led me to experience what I thought was a heart attack, in my attempt to do it all. I pushed myself too hard which in turn became a negative thing in my life. Negative things, as we know take longer to remove or replace, especially if one has to recover from a panic attack to get there. Take a close look at your bubble, what are you living for? It’s in your bubble. If you see people, items or situations that don’t make you happy (internal positive things) They need to be replaced or removed.